all seals are made of VITON, all our hose kits are now produced using BIO 100 Standard hose due to the new levels of SULPHUR & ETHANOL in fuel in the EU, the hose is expensive but it is the correct hose, dont be put of by buying anything else. I phoned with an injector/fuel rail incompatibility problem. Steve quickly came up with these seals to solve my problem and he dispatched them the same day. 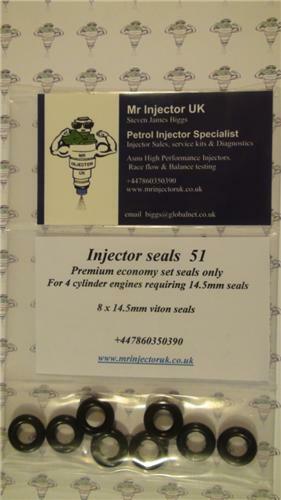 I was very impressed with his knowledge and friendly manor and can highly recommend Mr Injector UK.